Babino Polje is a small place on the Island of Mljet, that has about 400 permanent inhabitants. This is also one of the oldest places on the island. 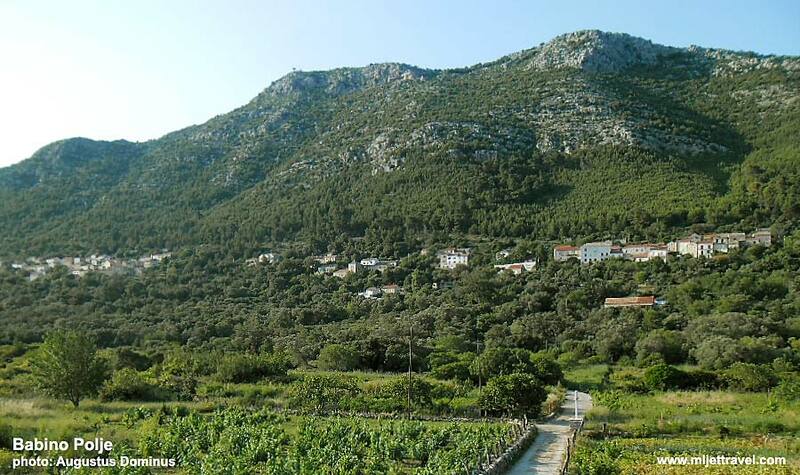 The picturesque village is located at the bottom of hills called Veliki and Mali Grad (514 meters – the highest peak at the island), at the very outskirts of a fertile field with its olive-groves and vineyards. The village consists of three separate hamlets: Zabrijeze, Zadublje and Srsenovici. The regular public transport bus line service this village at least twice a day connecting it to Sobra and Pomena. The distance of the village is about 4 km from Sobra and 18 km from Polace. The nearest beach to the village is in nearby Sobra that is about 4 km away, where various accommodations in rooms and apartments are on the offer.